Lezell J. Lowe is the CEO and President of RTF Medical LLC, a medical device and supply company. He has over 10 years experience in consulting with pharmaceutical, and medical device companies. Lezell has worked with Fortune 500 Companies, such as, Johnson and Johnson, Sanofi-Aventis, and Covidien. Lezell is also a popular local Broadcast Journalist in Central Kentucky, airing a weekly radio show, “Key Conversations” dealing with issues that impact the African-American Community. 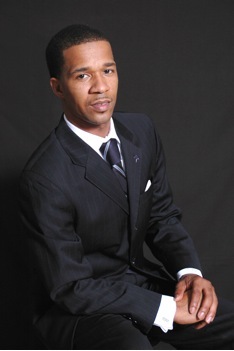 Lezell served as the 30th Great Lakes Regional Director of Phi Beta Sigma Fraternity, Inc., was a Board Member of the Board of Directors for Phi Beta Sigma Fraternity, Inc, and is currently a Faculty Member of the Sigma Leadership Academy, where his expertise are: Leadership Development, Building a Brand, and Interviewing to Win, and Stopping the Culture of Hazing. A proud graduate of the University of Kentucky and Kentucky State University, Lezell has received numerous local and national awards and serves on several National and Community Boards. He is an active Trustee at the Shiloh Baptist Church, Lexington, KY and is a volunteer with the Bluegrass Boys and Girls Club, Northern Cal Ripken Baseball and BMW Academy Inc.
Lezell is married to Monica Lowe, and they have three handsome young men, Christian, Micah, and Jeremiah.